Lacy J. Dalton will help celebrate Gene's birthday! Click here for details. 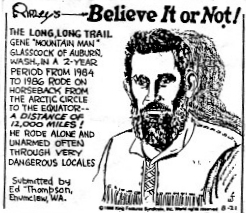 Long Rider Gene Glasscock, the only documented person to ride solo from the Arctic Circle to the Equator, and who at age 71 completed a 20,000 solo ride to all lower 48 state capitols, is returning to Stagecoach to celebrate his 72nd birthday with his Nevada friends at Wild Horse Workshop '06. 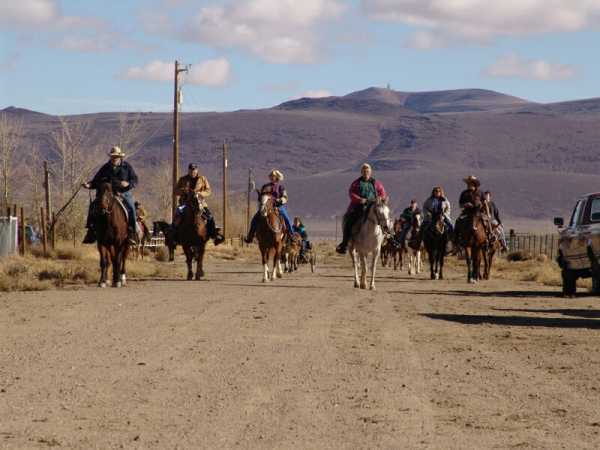 Arriving in Stagecoach, Thanksgiving Day, 2004. Gene visits with one of his two mustangs, Buddy. ... and then it SNOWED! 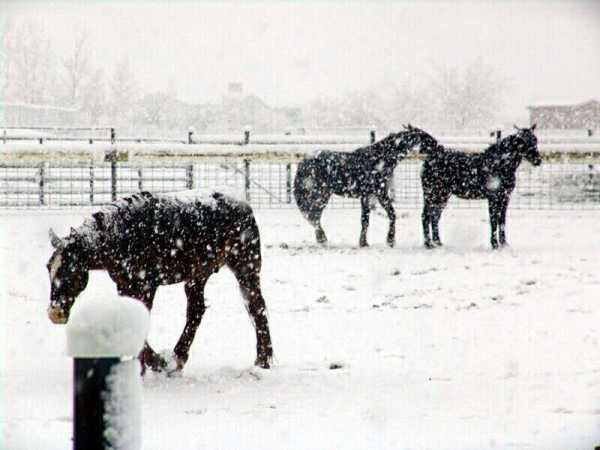 Gene's horses playing in the snow. Typical riding in the snow.